You may have made a lot of videos with your iPhone by yourself, or you just bought some from iTunes store. But suddenly one day, you just realized that they all "gone with the wind" because of wrong operation made by your own. While blaming yourself for the stupid behavior and regretting for those precious memories stored in the videos, you'd better take some time to find out how to recover those deleted videos on your iPhone to get back those memories. Is it possible to recover deleted videos on iPhone? No matter you are using the latest iPhone 5S, or other iPhone like iPhone 5, 5C, iPhone 4S, iPhone 4 or even the old iPhone 3GS, you can possibly recover all deleted videos on your iPhone unless you use a professional iPhone Data Recovery. 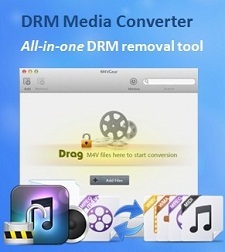 This kind of iOS data recovery tool is able to help you to recover iPhone data at ease. Here we recommend the world's no.1 iOS Data Recovery for you – iPhone Data Recovery Professional, which enables you to recover the deleted videos directly from iPhone, iTunes and iCloud backup. Before video recovery, you should take a trial version first. Be sure to download the suitable one for your PC system. 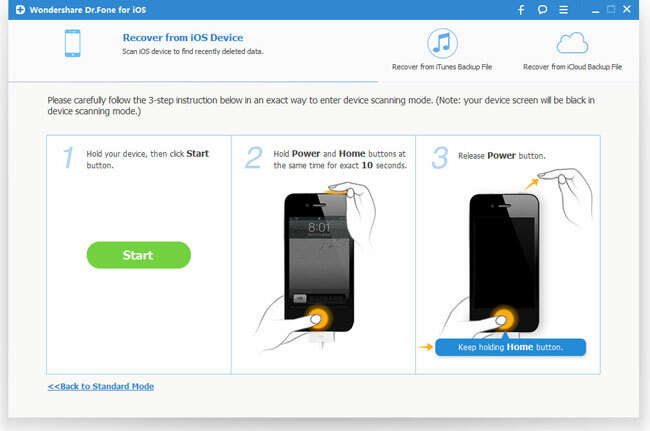 Launch the iPhone Data Recovery, and connect your iPhone to the computer with a digital cable. When your iPhone is detected, click on the "Advanced Mode" to switch to a higher scanning mode. Then follow the guide in the window to scan your iPhone for lost videos on it. Note: The advanced mode is only available for iPhone 4/3GS right now. If you use iPhone 5S/5C/5/4S, you can directly scan it for data on it, or just switch to the solution in part 2 or part 3. After scanning, it will display all found data and files in categories as below. To find your videos, check Camera Roll, which contains captured pictures and videos. Mark those deleted videos you want and click the "Recover" button at the bottom to save them all. After launching the recovery program, click "Recover from iTunes Backup File" on the top, and you'll see the window below. 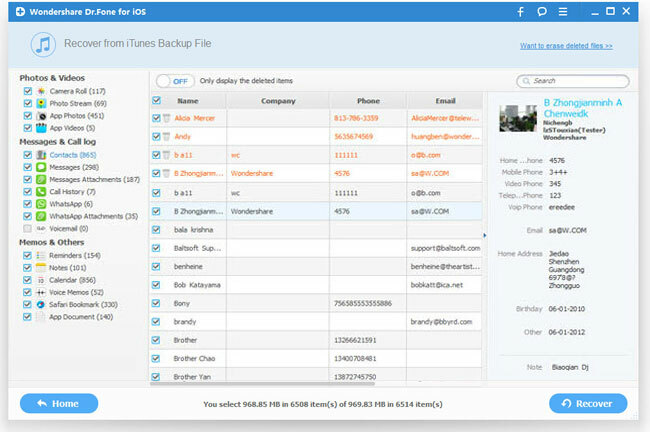 Just choose the one of your iPhone and click "Start Scan" to extract the contents from your iPhone backup file. 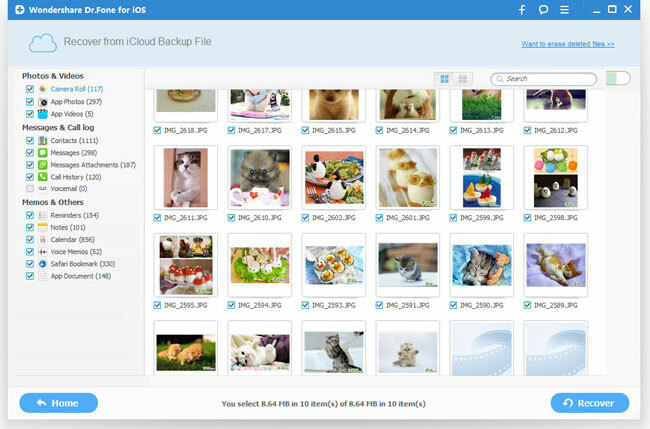 When the scan is over, the whole backup contents will be extracted and also displayed. You can check the videos which are in .mpeg format in general, and click "Recover" button to store the videos on your computer. 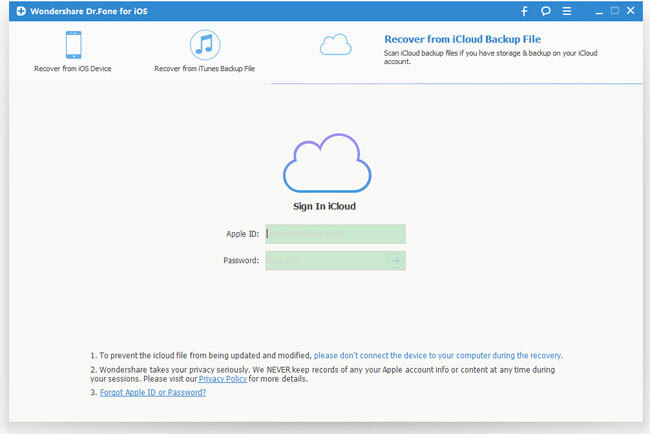 After launching the iPhone data recovery program, choose "Recover from iCloud Backup File", and sign in your iCloud account as it requires. 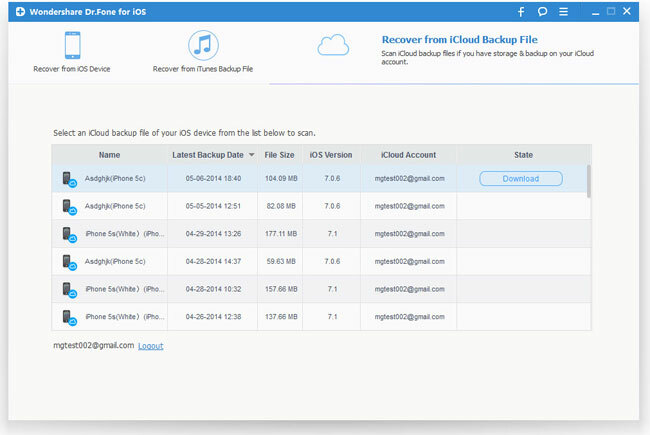 After that, you will be provided the backup files of your iCloud backup account automatically. Choose the video files you want to recover by clicking "Download" button. When it completes, click the same button to start extracting, and you'll get interface as below. You can preview all data besides videos after the scanning process, such as contacts, photos, messages, notes, etc. Choose the files you need to restore by ticking it. 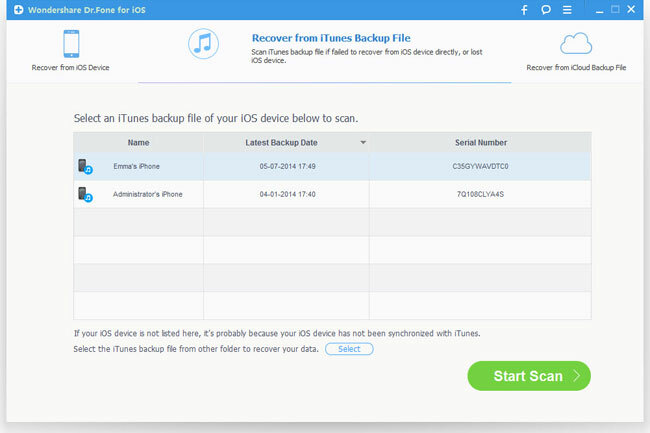 Tips: To avoid losing your iPhone videos again, immediate backup is very important and useful. Every time when you shoot videos with your iPhone, do remember to backup your iPhone on your computer first. Besides recovering iPhone deleted videos, this powerful iPhone Data Recovery can also recover lost photos, notes, contacts, messages, calendars, bookmarks on your iPhone and even other iOS devices, like iPod and iPad. 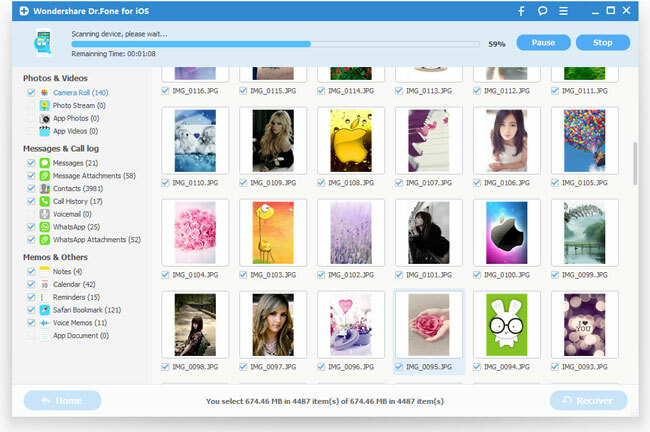 • How to Recover Deleted Photos from iPhone? • How to Retrieve Lost WhatsApp Chats from iPhone? • How to Recover Deleted Contacts on iPhone? 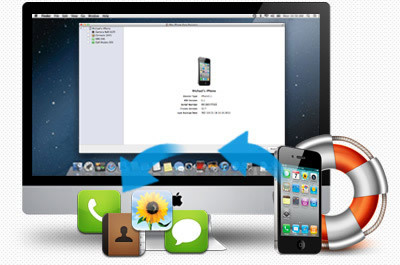 • How to Recover Lost SMS Text Messages from iPhone?